At Ordway Law Group, LLC, we are committed to using our extensive knowledge and experience to serve our clients. We specialize in handling complex, high-asset divorce cases and family law matters. William Ordway brings over 23 years of experience in family law and business litigation to the table. He holds an AV Preeminent Rating from his peers, has AVVO's top rating of Superb, was again selected by Atlanta Magazine as a 2017 Super Lawyer, and by Georgia Trend Magazine as a Legal Elite. 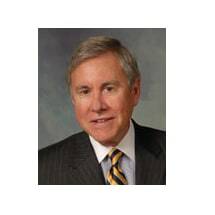 He is rated in the top 5% of Georgia attorneys, he has successfully represented clients throughout the world in resolving their Georgia-related cases.